Check out the new latest Stencil Mag featuring tonnes of cool interviews, including cover stars, Coheed & Cambria, Miss May I, Shinedown, The Black Dhalia Murder & More! 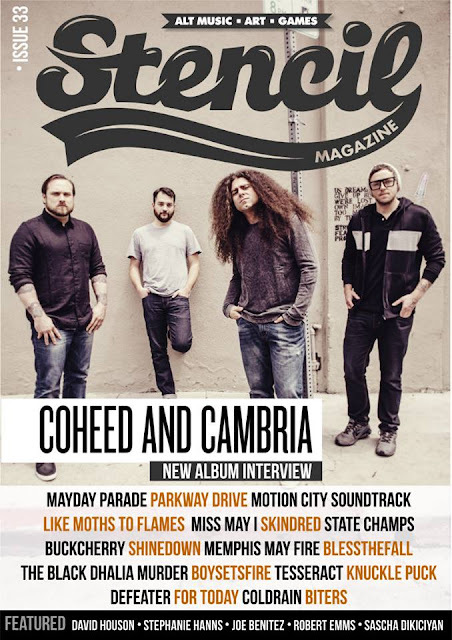 Also featured are new album reviews, including my reviews of Atreyu, Bring Me The Horizon, Disturbed, Soilwork, Miss May I & Devil Wears Prada! There is a special Warped Tour UK Preview also, which I done the features for August Burns Red, The Word Alive & Trophy Eyes. Be sure to check out all my work, along with all the other awesome content from all! !